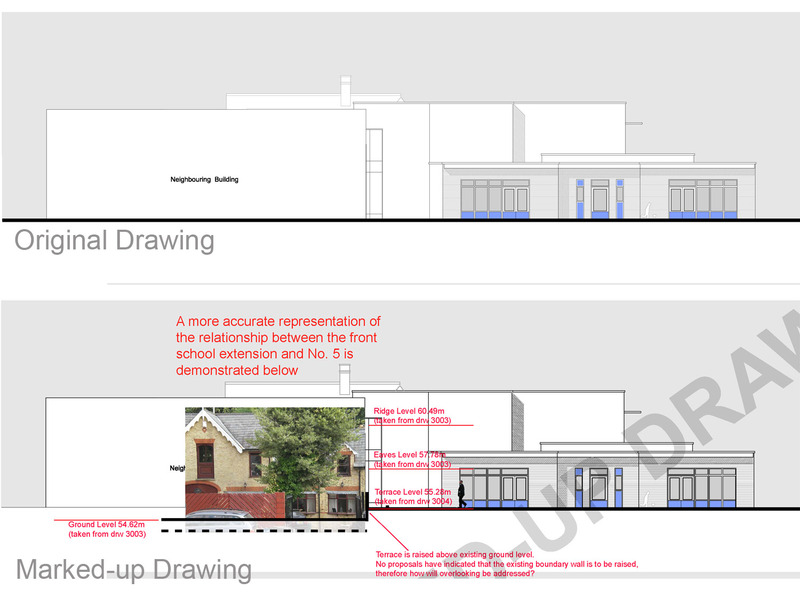 We were recently approached by a Croydon resident in desperate need of some assistance and advice regarding a planning proposal for a school extension adjacent to her home. She has lived in her family home for 20 years and has never been adversely affected by the neighbouring primary school, with the main school building standing almost 30 metres away. 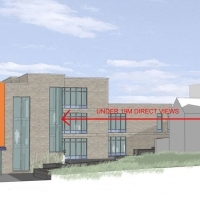 However this balance is set to come to an abrupt end following a controversial planning decision by Croydon Council to allow a significant extension. 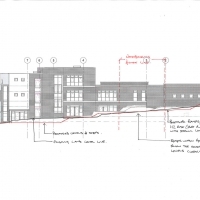 The proposals consist of a multi-storey extension to the existing school building, rising up to three-storeys high to allow the capacity of the school to almost double from 240 to 420 pupils. 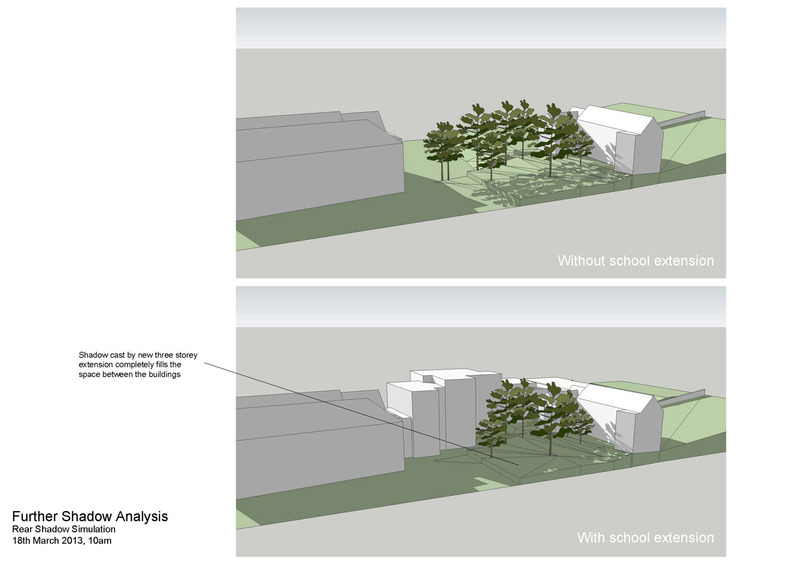 The new building(s) will extend to within 5 metres of the homeowner’s house. 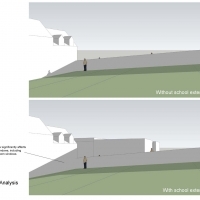 A new stepped walkway will direct all these new pupils along side the boundary of the house, and new outdoor play areas will be formed on raised terraces. In response the homeowner has expressed deep concerns about the impact that these proposals will have upon her amenities, and questioned whether the planners and councillors had given these issues thorough consideration. The homeowner raised her concern about inadequate information within her official objection to the planning application. Her objections were presented by her son at the planning committee meeting at which this case was decided, which I also attended. During the meeting one councillor questioned whether amenity space at the rear of the house had been properly considered. 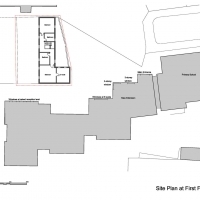 He specifically asked “which rear windows of the house, if any, would be affected?” The planning department’s representative did not know the answer off-hand, so she proceeded to review photos of the existing site. She could only find a partial photo of the rear of the house to inform her response, so could not declare the precise number or nature of windows at the rear of the property. 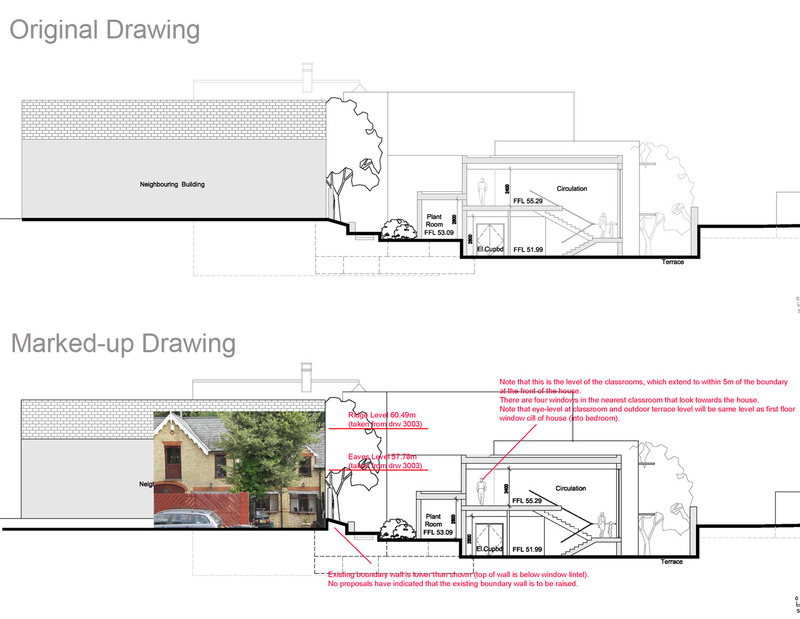 However, she concluded from the photograph that there were no significant rear windows that stood to be seriously impacted by the extension. In my opinion this response highlighted the determination of the council to justify and support the development even in the absence of adequate, necessary information. 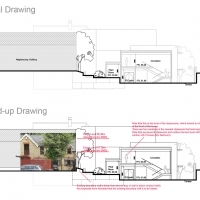 In actual fact there are several windows at the rear of the house which serve primary habitable rooms that will be significantly affected, but this was not conveyed to the councillors before making their decision. The fact that crucial information was missing from the drawings meant that the true extent of the intrusion of privacy could not have been thoroughly assessed. Opposite the rear of the house, where the new extension will be three storeys in height, there will be large clear windows on all levels which overlook the home owner’s property. These windows serve busy main corridors and stairwells, and afford direct and indirect views into habitable rooms of the house. 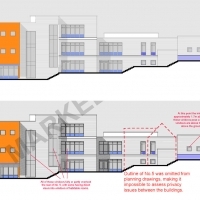 As part of the original planning submission the developer included a shadow study to demonstrate what overshadowing, if any, would be caused by the proposed extensions. The shadow study was illustrated by a plan view of the proposed site with shadows simulated at set intervals during the year (Spring, Summer, Autumn and Winter solstices). Unfortunately it was almost impossible for me or the home owner to interpret the shadow study and evaluate the potential loss of light as a result of the extensions, mainly because the study did not show the shadow/ light that surrounds the homeowner’s house prior to development. Therefore I created my own simulation model to give a more realistic demonstration of the additional shadow that would be cast by the new extensions. 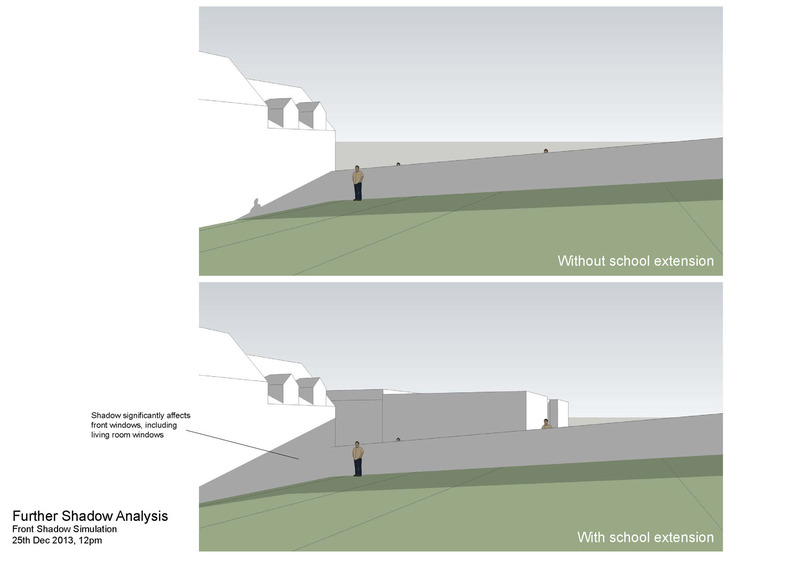 The second illustration demonstrates that the proposed extensions will also result in significantly increased shadow cast across the front of the house, particularly at the south end of the house in Winter. Primary habitable rooms are situated at the south end of the house on both levels, so the effect of the increased overshadowing will be constantly felt by the homeowner. Further to issues I raised about the drawing and design information provided with the application there were numerous other issues raised by the homeowner within her objections. She raised a prime concern about the increased noise and disturbances that would be generated during the development. This is because the development (including landscaping) extends all the way to the boundary along the full extent of her east and south boundaries. 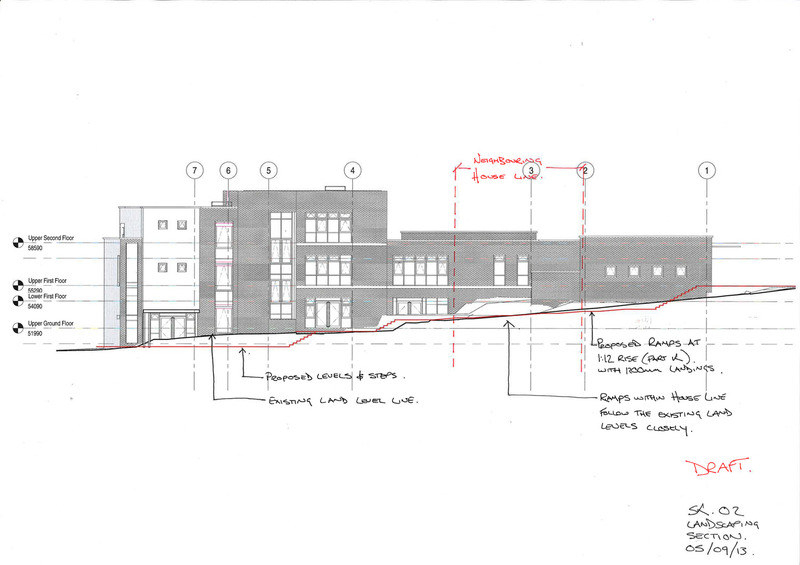 Furthermore she anticipates a significant rise in noise levels once the whole school is occupied as all the new pupils will be ‘funnelled’ along the new external pathway immediately adjacent to her boundary. She has also expressed her extreme disappointment at the manner in which she was notified about the planning application. The council relied solely on public street notices, the nearest of which was probably 100 metres or more from her front gate. If it wasn’t for a Party Wall notice being sent to her she wouldn’t have found out until the decision was made. Furthermore, her feelings of being let down by the council were exacerbated by the disclosure that the school and council held several pre-application meetings. Some of these meetings were attended by school staff, parents and neighbours. I cannot understand why they didn’t invite her to these meetings, especially considering that she stood, by far, to be the most affected of all the neighbours. Despite strong objections, and our assistance, the homeowner was unsuccessful in convincing the councillors to refuse planning consent. 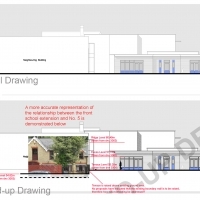 Several councillors expressed “sympathy” for the neighbour, but explained that expansion of the school was of the highest priority. 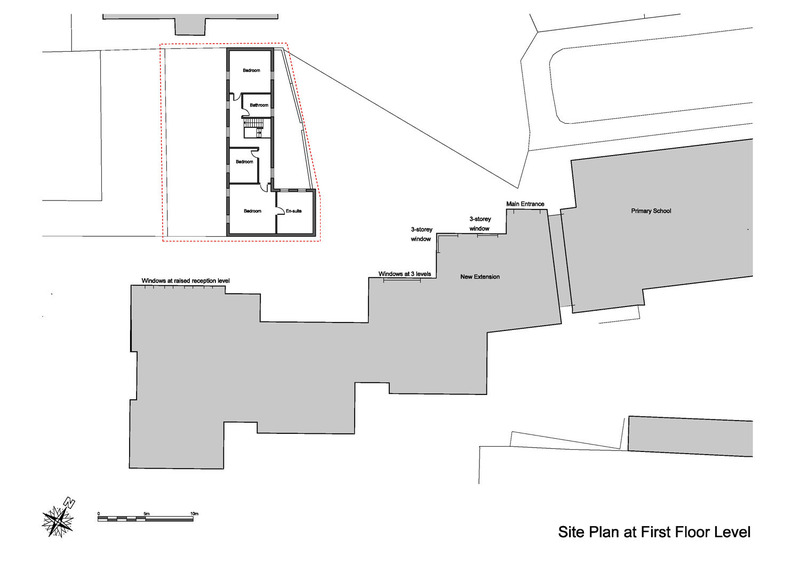 Full planning consent was thereby granted in July 2013. 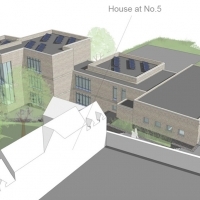 However, the final vote was marginal and there were serious questions raised about the information presented at the Planning Committee Meeting, so the homeowner decided to take legal action and seek a judicial review. This proved to be extremely costly, and unfortunately she cannot afford to take this course of action any further. She did manage to get to a preliminary stage where a judge decided whether a judicial review would be allowed, based on written information only. Although the case for a judicial review was proven in part, the judge ultimately decided that a review would not be permitted. 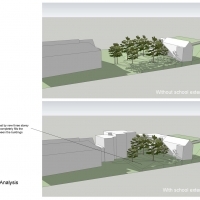 He acknowledged that the perceived impact on the homeowner’s property “may not have been as precise as arguably it might have been”, but he sought to justify the council’s final decision by stating that they were “balancing” the impact of the proposal on her property with the need for the development of the school. No matter where the homeowner turns for help she is met with a similar response by those with the authority to make decisions. Planners, councillors, even judges express some sympathy for the homeowner. There seems to be universal acknowledgement that the development will impact upon her amenities. However, the issues she has raised continue to go unanswered as the need for school expansion apparently outweighs the need to protect her amenities. I must clarify that I completely agree that expansion of schools in Croydon should be a primary objective, and I understand why this can sometimes result in adverse, unavoidable impacts on neighbouring amenities. However, in this situation I firmly believe that the extent of the impact could have been reduced if the relevant issues were promptly and correctly identified. There is no excuse for the fact that the only person that really stood to lose something was never directly informed about the planning application, never consulted, never properly considered. She should have been consulted at an early stage when other neighbours were apparently consulted. If she had been consulted I’m certain that a more considerate design approach could have been adopted whilst still providing the same amount of accommodation. I myself have worked on several schemes in the Croydon area, and although these were comparatively modest in size we advised the client to directly consult with the neighbours that stood to be affected. This has always proven to be a constructive, successful approach. Overall I have been left feeling extremely disappointed the homeowner is being forced to reconsider her future in the home she has enjoyed for 20 years. I am also left feeling completely disenchanted by the planning decisions and reviews that were made. Historically residents have always been protected by numerous planning laws which prevent their private amenities being adversely impacted by development, but more often than not there will also be other policies which create a conflict of interest. 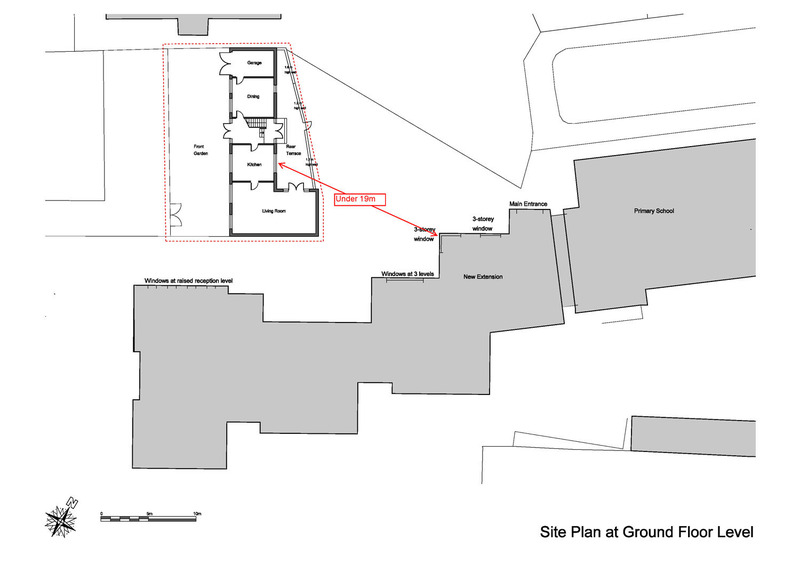 This puts growing pressure and responsibility on planners to make balanced, informed decisions, but in my honest opinion this particular planning process was not as informed as it should have been, the design was not as considerate as it could have been, and by the time the final decision was due the council had undoubtedly run out of time to properly address any flaws that had been subsequently identified. This isn’t the only school in Croydon upsetting their neighbours. I wish the local council would be more considerate towards the local residents, but unfortunately they seem quite set in their ways.